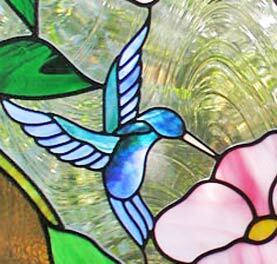 "KEEVILP" CUSTOM STAINED AND LEADED GLASS HUMMINGBIRD AND FLOWERS WINDOW. ANOTHER MASTERPIECE BY JACK McCOY© IN ASSOCIATION WITH GLASS BY DESIGN. 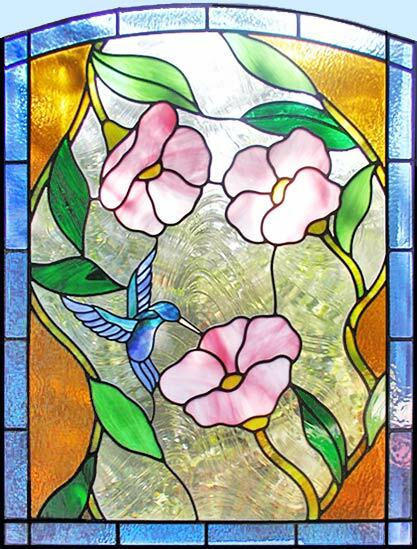 Custom stained and leaded glass door window with flowers and hummingbird for a private residence in Philadelphia, PA. This custom hummingbird and flowers window was 28" x 37".